On April 5, Ross Brindle, Executive Vice President at Nexight, led a full-day training course on energy technology roadmapping as part of the International Energy Agency’s (IEA) Energy Training Week. Held at IEA’s headquarters in Paris, Energy Training Week offered five days of free intensive training to government officials and private sector experts in developing countries and emerging economies. Training courses included Energy Essentials for Decision Makers, Oil and Gas Market Security, Energy Efficiency and Low Carbon Policy, Low Carbon Technology Policy and Planning, and Energy Analysis and Modelling. At the technology roadmapping course, more than 40 representatives of more than 25 countries gathered to learn about the tools, processes, and lessons learned from Ross’s 10+ years of experience in developing more than 100 roadmaps across six continents. 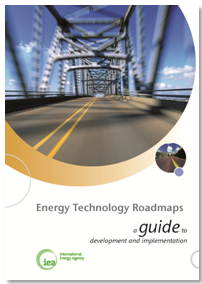 The training drew extensively from Energy Technology Roadmaps: A Guide to Development and Implementation, published by IEA in 2010 with significant input from Nexight Group. Ross has consulted for the IEA on several of its roadmapping efforts to date, including roadmaps addressing global development and deployment of carbon capture and storage, solar photovoltaics, wind energy, and electric and plug-in electric hybrid vehicles. Read more about Nexight Group’s technology roadmapping capabilities or contact Ross Brindle at 240.667.7636 for more information.